We have been lucky to see some amazing sightings over the past two months. We spotted the big three cats in one week! 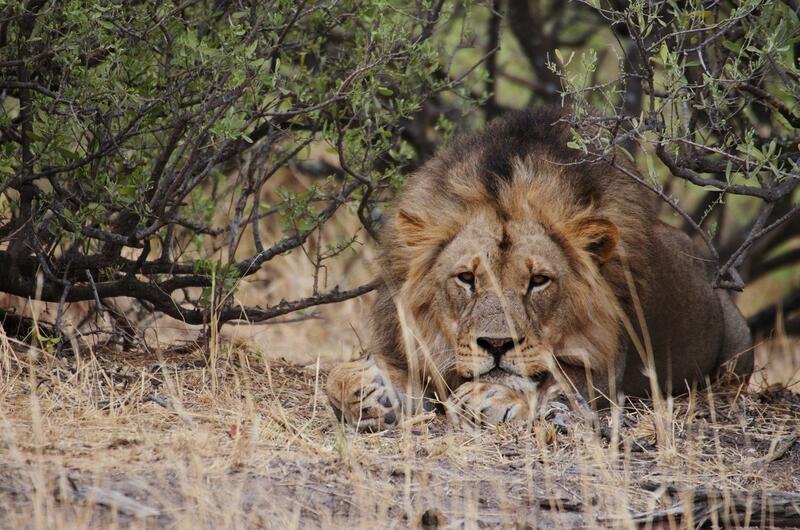 Two beautiful male lions were also seen near a dead zebra which had been caught by a snare. We soon realised that the lions were close to many other snares and one lion had already stepped through one of the snares without being caught. The staff removed as many snares as they could, bringing the count to a total of 12 snares in 10 minutes being removed. For that moment, the lions were safe. On our way to erosion control, a beautiful female leopard was seen. It looked like she had some cubs around and we hope to see them in the future. 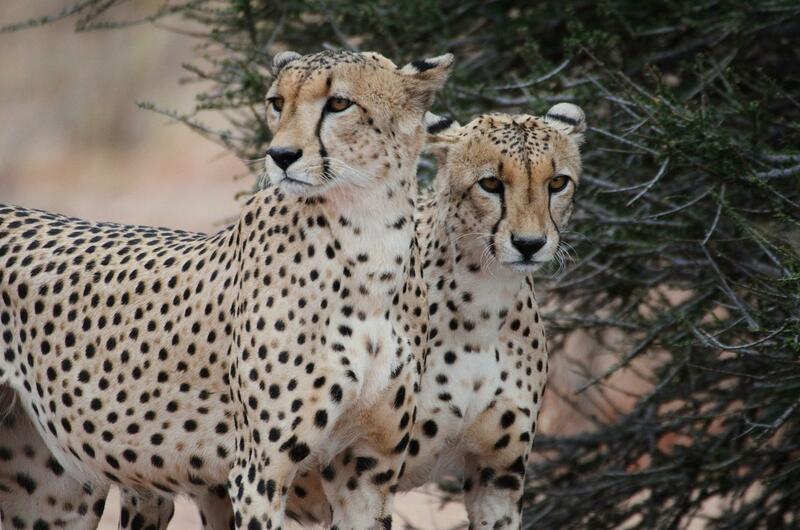 In the same week, Projects Abroad staff and volunteers saw two beautiful male cheetahs, with full stomachs, resting under the shade of a tree. It was an incredible week of sightings. We also saw some stunning elephants, kudus and zebras and during a sleep-out, and we managed to see a spotted hyena trying to sneak up behind a big male bushpig. 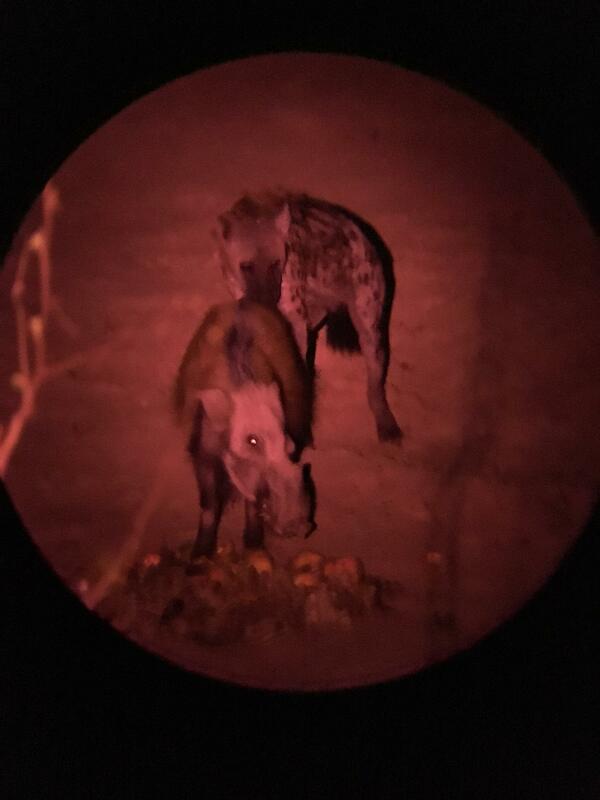 We all hoped the bushpig was strong enough to scare the hyena away! On the 30 September 2016, we went to the village of Mathathane to celebrate the 50th Anniversary of the independence of Botswana. 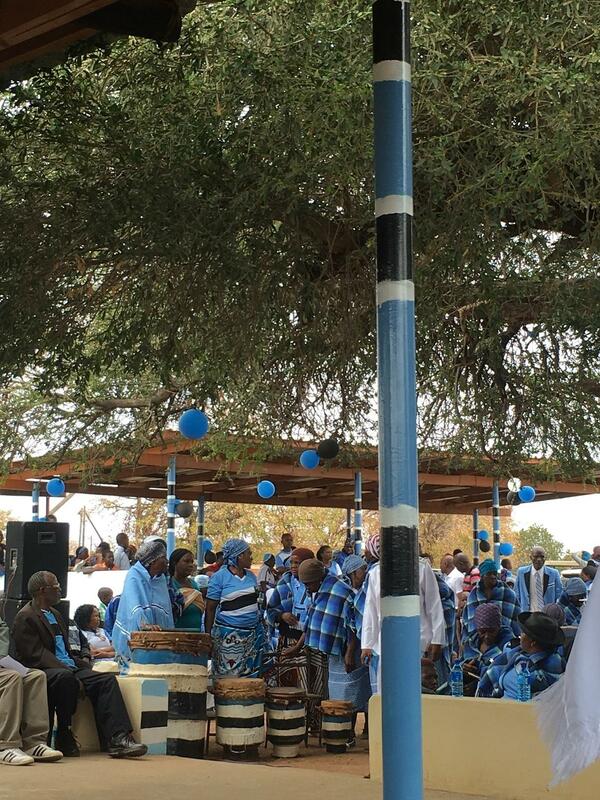 On this important date for the country, volunteers were able to enjoy Botswana’s rich culture, meet friendly Botswana people, observe a competition of cultural dances and listen to speeches from the delegates of the village. Fire is always our greatest challenge during the drought seasons. Everything (grasses, bushes and trees) is so dry that lightening striking the ground can start a fire. Poachers have also been known to start fires, making it easier to snare animals. This is what happened at the start of October. 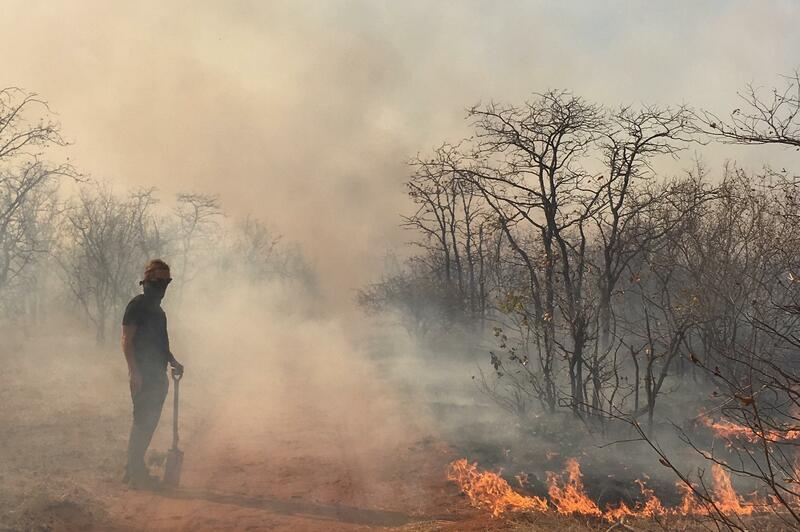 Volunteers and staff were brave and fought a fire in one of the neighbouring reserves for several days. There are multiple techniques to stop a fire: back-burning is the best, but needs to be handled by experts as you don’t want the fire to become unpredictable. Using branches, shovels and water to stop a fire is also a good technique. The wind during those few days was powerful, making the task even harder. Luckily with the help of dedicated volunteers, villagers and staff from other properties, we were able to stop the fire. In the end the wind turned and helped us stop the fire. A lot of trees have perished, the grasses are gone, and animals are starting to move to areas where food is available. Towards the end of October we faced a dilemma - there was not a lot of food available for the wildlife and there was little water to spare. We decided to help the wildlife, particularly leaf eaters such as kudu, to find some food. We started to water some trees and areas so that they would regenerate and supply animals with some food. It makes a small difference but hopefully an important one. Some animals will migrate when food is unavailable, like elephants. Others, like kudu, klipspringer, and springboks, will stay in their territory and die of starvation if they cannot find food. This is temporary until our first important rains arrive; it may arrive in a week or maybe a month. After one and half weeks of helping the animals, we were able to see the difference our work made. The bushes we had watered grew leaves and we could see kudu and impala happily eating them. At this stage we can only hope that the rain will come soon.